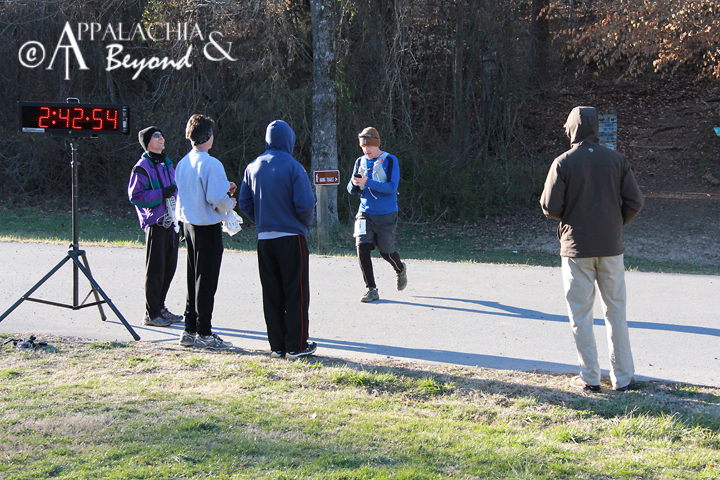 Last year the Knoxville Track Club added a couple new trail races to their Treadin' Trodden Trail series. Of these races, one was in our own backyard, figuratively speaking. I remember having wanted to do the Dark Hollow Wallow last year, but I was in no way ready or in shape for it. Fast forward to the end of November and it dawned on me that the race was coming up again in February and if I was going to represent, I had better get on the ball with training. I had been running off and on since July of last year but now I was ready to commit and begin training. Besides I had been running on the roads and was ready for a change. I just had this nagging feeling in the back of my mind that trail running would be so much better for me and way more adventurous. For three months, well almost three months, I was logging miles at least 3 days a week. Unfortunately, two of those days were on the roads as I was running those two days during the week and before work. Why roads at that time? Well it was too dark in the mornings so I opted for the safe route as I didn't have any experience running trails in the dark. Needless to say, I looked forward to my weekend long runs. I started out with 3 mile long runs and worked my self to about 7 miles as my longest run before race day got here. I wasn't sure going into it if it was enough, but nevertheless, I persevered and went with it. Fast forward to race day. I was excited, nervous, anxious. Other than a couple of half marathons a few years back, and a failed marathon attempt many moons ago, this was going to be the longest race I've ran and likely the hardest. 11 miles on the trail and only my second trail race ever. 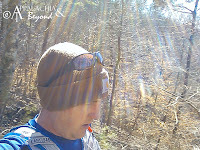 However, I had the courage to run the race I all my training had been on the trails that the race was being run on. There was only one trail on the course I hadn't ever set foot on before but other than that I was good. I knew what to expect. As all the racers gathered at the starting line, I could feel the anticipation building. It was a cool, crisp, sunny 40 degrees to start the race. The race director gave his spiel which I tried earnestly to listen too but was having a difficult time due to the crowd of 200+ racers chattering away. In the parking lot a mere 30 ft. away, Robin stood from the vehicle to snap pics and wave a goodluck farewell to me as I took off with the rest of the mob. The gun sounded and we were on our way up the road to the cabin area, headed up hill to our first bit of trail, Chestnut Trail. The hill to the trailhead served well to thin out the crowd, and thankfully so, there was no bottleneck like I experienced at the Wanderer's Trail Race the month prior. I took my first walk break just before the summit on the Chestnut trail. I always did that during my training as well. It's a tough hill/climb that doesn't stop until you get to the water tanks. Just past the water tanks, I began running again. Only a few runners had past, the area through here is flat for a small piece and then heads down the ridge with three switchbacks. At this point I was past by one other runner and then found myself calling out obstacles for the runners directly behind me as I heard one of them doing the same. 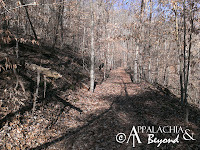 We emerged from Chestnut Trail into a small clearing and headed for the next trail, Big Valley trail. Across the park road and through the muck that makes up the beginning of Big Valley Trail we ran. It gets muddy through the first section of this trail due to runoff from the ridge flowing through here as it's basically a washout through here and no water bars on the trail to prevent this from happening. No biggie though, I was used to it, as I'd been running through it all winter long. I was running well at this point and felt I had been right on pace with my training. Still calling out obstacles and chugging along, we passed the connector to the Ghost House Loop Trail and thus began what I call the assault on Pinnacle Ridge. Of course, I've never been able to run up this ridge and on race day it was no different, not much of an assault. No one else wanted to pass me though as all the stronger runners were well up front. For almost a mile, I walked up the ridge catching my breathe and conserving myself for the next 8 miles of the race still left to complete. 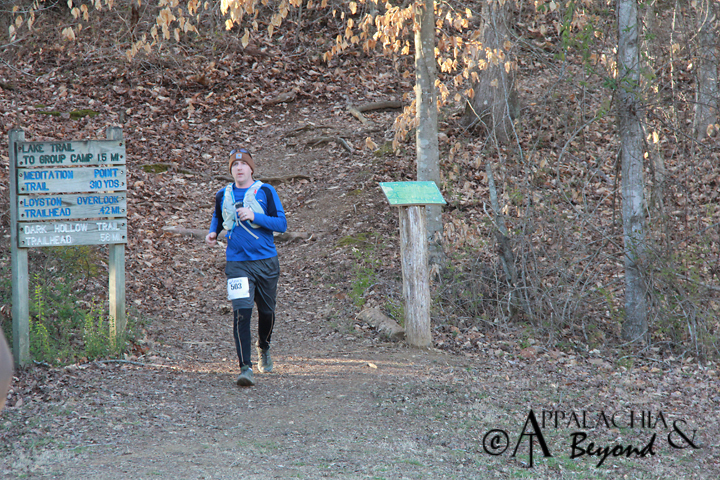 Upon cresting the ridge I began running again and the other racers behind me followed suit. 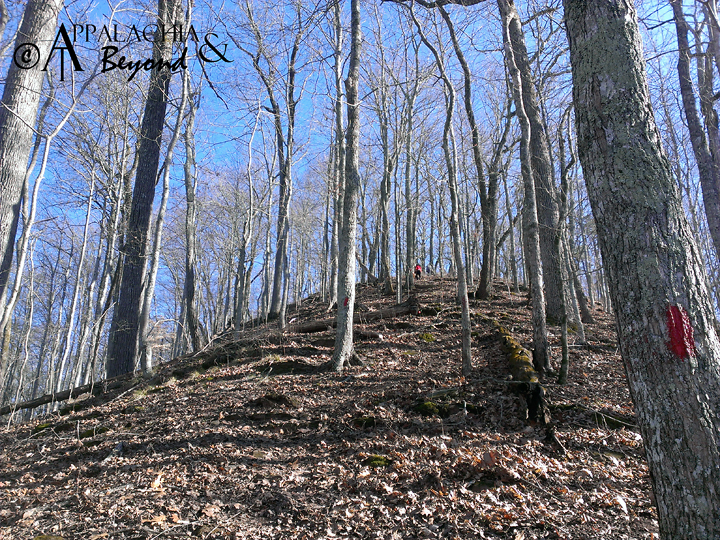 I continued to point out obstacles for a quarter of a mile or so and then decided to walk again before hitting the back side of the ridge and the descent into Dark Hollow. The other runners decided to pass me at this point and thanked me for the help in pointing out obstacles and decided to call me trail boss for my efforts and we exchanged other encouraging words like "good job" and "you'll catch up". I walked for about a quarter mile or so until I reached the downhill section and started, for lack of a better word, galloping down the ridge until I reached the bottom at what I refer to as the crossroads. The crossroads are where the Dark Hollow trails (east and west) cross the Big Valley Trail. It is here where the first, second, and third aid station along the 11 mile course is located. 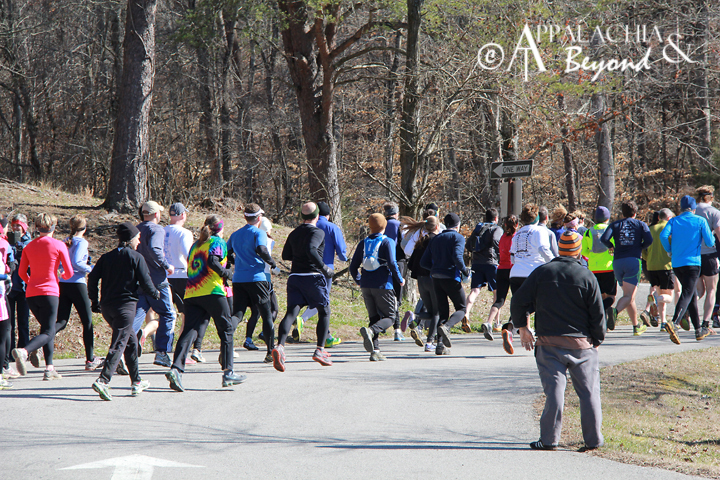 It is also here where those running the 5 mile course turn to the left and run down West Dark Hollow trail and the 11 milers turn right to run down East Dark Hollow trail. It was here I decided that I was feeling good enough to attempt the 11 miles. Up til now the farthest I had run, in my return to running, had been just shy of 7 miles so it wouldn't be long before I would enter the outer limits of my perceived limits. I figured however, that if I was able to run/walk 7 miles what was 4 more on top of it. It was also at this point that I'd run the only trail in this park that I had never been on before, so I was really stepping out on a limb here and running in unknown territory. I passed up the aid station as I had my Camelbak Marathoner's Vest on filled with water and had been taking on fluids as needed. I shouted "Good Luck, go get 'em" to the runners that trailed me prior to my walk break as they were only doing the 5 mile course and they shouted a similar encouragement in return and down East Dark Hollow I ran. It wasn't long before I was having to move to the side of the trail as the leaders of the race started passing me going the opposite direction. East Dark Hollow is approximately 1.2 miles long one way. Wow, that meant they were almost 2.5 miles ahead of me. Onward I ran as those ahead of me continued to pass, with each one "Good Job", "way to go", "good luck" was passed along. This section of the race course was rather tough for me. Considering I had never been on this trail before, I knew nothing of what to expect and as such paid a price for it. Cruising along, at one point, I took my eyes from the trail and down I went. 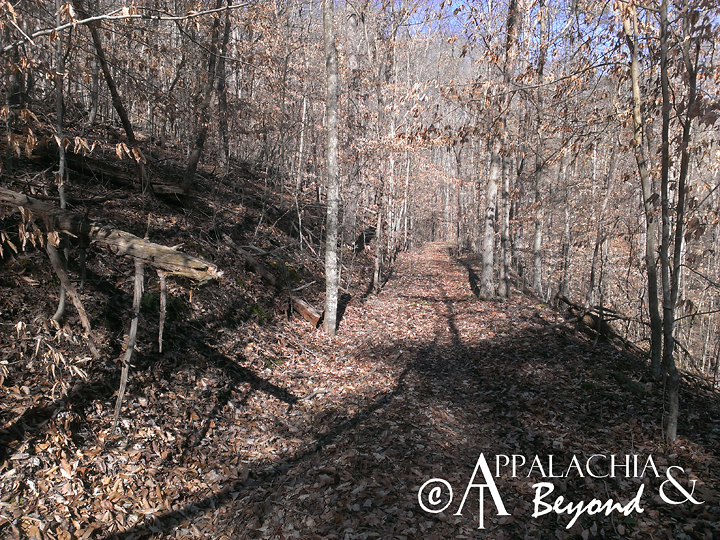 Throughout the traverse of this trail, I went down one other time, a slip down the bank at a creek crossing. After passing the back country campsite in the middle of the trail I finally reached the end/turn around point and headed back to the crossroads. It wasn't very long before I found the error of my ways for cruising along the trail like I did. It is an albeit gradual incline the whole way back to the crossroads. I didn't realize this on the way out but it sure let me know on the way back. I finally made it back to the crossroads and happily accepted an electrolyte filled cup of sugary sweetness and began my walk up Big Ridge and ascended Big Valley Trail to the Indian Rock Loop trail. If East Dark Hallow didn't defeat me, Indian Rock Loop would. It took a little bit, but I finally reached the top of Big Ridge and the start of the Indian Rock loop. To my surprise, the course was set to run the loop in clockwise fashion. I've only been on the whole loop once during training and then I ran it counter clockwise. It's a bit different. Rather than run the ridge, it was straight down the ridge. Considering the terrain and the weather prior to the event, I took my time getting down. Once at the bottom though, I started to cruise again for at least a mile until I reached the other side of the loop where it was what seemed a vertical ascent back up Big Ridge. Those who've been back there know what I mean. It was here, that I saw a few of runners that had passed me either on East Dark Hollow or Big Valley on the way up Big Ridge. It was the first time I saw them since they had past me, and it would be the last time I would see them. I still wonder how the leaders make it up the ridge at that point? Do they seriously run up it? I had to choose my steps carefully and what seemed every 50 feet, stop for a second just to catch my breathe. I finally reached the top with my calves and thighs screaming at me wondering what they did to deserve this. I was around the 7 mile mark on the race. My previous known limit had been reached and I was now entering uncharted territory. I couldn't start running right away. My legs needed a quarter mile or so to get some life back in them. Needless to say, the rocky terrain on the ridge top made it difficult at best to make any attempts at cruising along effortlessly. 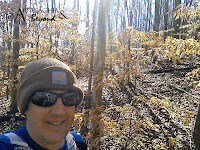 Nonetheless, I finally made it back to the Indian Rock Loop trail head where I stopped for a few moments to speak with one of the volunteers about the race and the course. At the point my legs felt ready to go some more and down the ridge back to the crossroads I headed. About a quarter mile down, I was galloping along when my foot hit a root or something and tangled with my other foot, and I went down for a third time. This one was a pretty hard fall as I banged one of my knees on the trail pretty hard. I got up, picked my pride up off the trail, and was thankful no one was around to see it. Onward I continued until I got back to the crossroads. I stopped here for a cold cup of water this time and spoke with the volunteers here for a few moments as well as the two rangers that were there with their horses. They were helping a runner out who I assumed twisted an ankle. While resting here I was passed by another runner, and a few moments later I decided it was time to take off again or else I'd end up in last place. Down West Dark Hollow I ran. I was good from this point forward because I've run this trail and the finishing stretch of the Lake trail many times therefore I knew what to expect. It was pleasant knowing that soon I'd be reaching the finish. It wasn't long before I reached the tougher portion of West Dark Hollow. From the crossroads, the trail is a gradual decline back to the lake before it turns and rises up to keep the trail well above lake level where it eventually meets with the Lake Trail and crosses Big Ridge Dam across the lake and leads to the finish of the race, a mere half mile left. It was on this tougher portion, that I caught up with the runner who passed me while I took a rest at the crossroads. I ran with him for a short while. We walked at the same spots and ran at the same spots. We finally reached the dam and started the final push to the finish line. From the dam, the Lake Trail rises gradually a bit, and then has two steep but rather short ascents up a small ridge line. 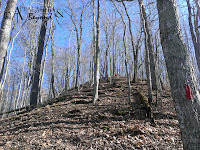 It was on approach to the first ascent, that the other runner had to walk again and I was ready to finish the race. We exchange our good lucks and off I went. I had two major hills left and then it was all downhill from there. I took my time with the first hill as there are some major step ups on roots to traverse. At the top of this is a bench with a pavilion. Just past the pavilion I started running again. I was determined to take the last hill as best I could. Half way up, my legs decided that it was best that I walk up it and save the gusto for the final push downhill to the finish. It was all me, no threat of being passed and no other runners ahead of me to chase down. I picked up my pace and didn't look back. Finally, I could see the end and as I emerged from the trail, two smiling faces and three race volunteers as I approached the timer clock. At last my journey was complete and waiting for me at the end, Robin and our Little Bug. My finishing time: 2:42: 54. Overall I was 73rd out of 80 runners. I was last in the Open Male category. I was happy. I completed the race and did so under my goal time of 2:45. 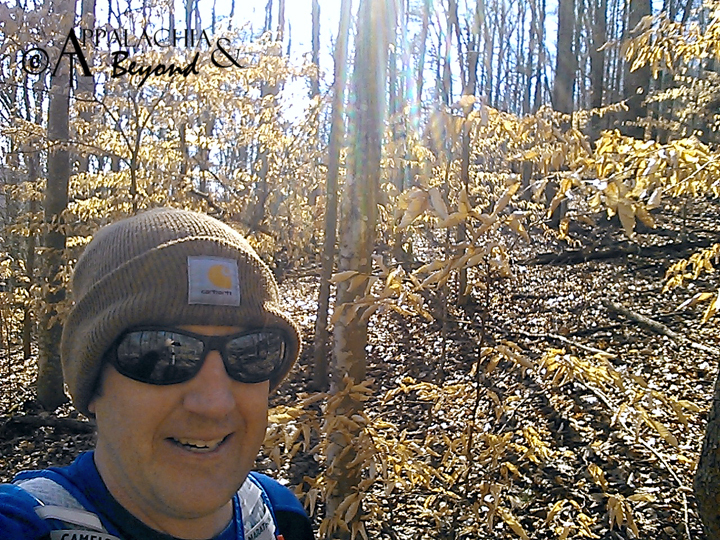 Now that my first "long" trail run is behind me, I look forward to more long trail races. Up next, War at Windrock, a 2 day/3 stage 50K. Day one is stage 1: A fast 4 miler and stage 2: an uphill 10K. Day two is stage 3: an up and down 34K. I'm only running in stages 1 and 2 as I'm in now way ready for a 21 mile run. 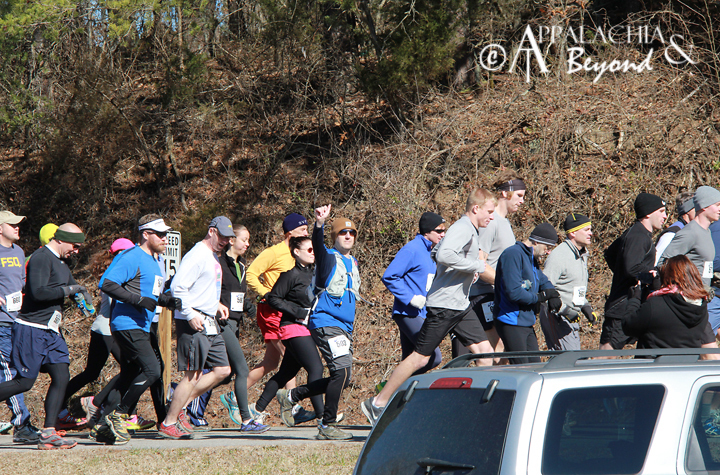 After that I hope to run in the Panther Creek Challenge, a 10 miler in May and the Dam Hard Trail race at Norris Dam State Park. That race offers a 25K and a 50K. It is my hope to run the 50K. It's in September so only time will tell. P.S. Big shout out to Terramar Sports. Without my silkweight shirt and TXO 1.0 Performance Bottoms, I would have been quite chilled out on that run. Thankfully I stayed warm the whole time.